FUSED GLASSLINING – The porcelain coating added to the steel tank interior is the plumbing industry’s time-tested and trusted system for tank protection and every tank is made in the U.S.A. Glasslined tanks feature include a 1-1/4˝ nominal pipe thread (NPT) spud on top for motor mount or retention tank connections, a 1/4˝ switch or gauge tapping on the air side of the tank, and full-size 1-1/4˝ connections at all needed locations. 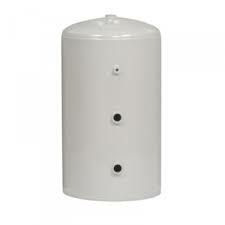 NSF/ANSI Standard 61 Certified and FDA approved galvanized pressure tanks. Whether for domestic use, installed in the field for irrigation, or an industrial application, galvanized steel is utilized for strength and durability. These classic galvanized storage tanks are in stock and ready for immediate shipment. Sizes range from 12 to 900 gallons, with diameters up to 42″.Our galvanized tanks also meet the new low-lead standards of state and federal laws with certification to NSF / ANSI Standard 61 Annex G and NSF / ANSI Standard 372.